Onboard WiFi doesn’t need to be complicated, but you could be forgiven for thinking otherwise. Operators looking to install passenger WiFi on their vehicles are confronted with a myriad of choices. Every option is invariably described using industry jargon that would perplex all but the most tech-savvy operator. But it doesn’t have to be this way. Sygnal strives to keep the entire process of ordering and installing onboard WiFi as simple and transparent as possible. Passengers now expect onboard connectivity as part and parcel of their journey. Onboard WiFi is no longer a ‘luxury’ amenity – it’s for everyone. Despite this, the majority of bus WiFi systems on the market are designed for national operators, with a price tag to match. The bottom line; just as passengers expect accessible and consistent connection, operators expect reliable and affordable service. That’s where Sygnal comes in. With an intuitive online layout, remote monitoring and streamlined installation process, Sygnal simplifies the onboard browsing experience for everyone. Great technology, as they say, should seem simple, even when the processes behind it are remarkably complex. The introduction of new transport technologies has also highlighted the rift between large and small operators. Nationwide operators usually have engineers on staff or, failing that, a trusted professional on call. But many independent operators simply don’t have the time (or the staff) to install, maintain and repair new technologies. Sygnal’s robust design and simple install process were specifically developed to limit time spent fitting and maintaining units. Likewise, remote updates enable operators to add new features without uninstalling units. Additional features like CCTV and GPS can be retrofitted as and when operators require them. 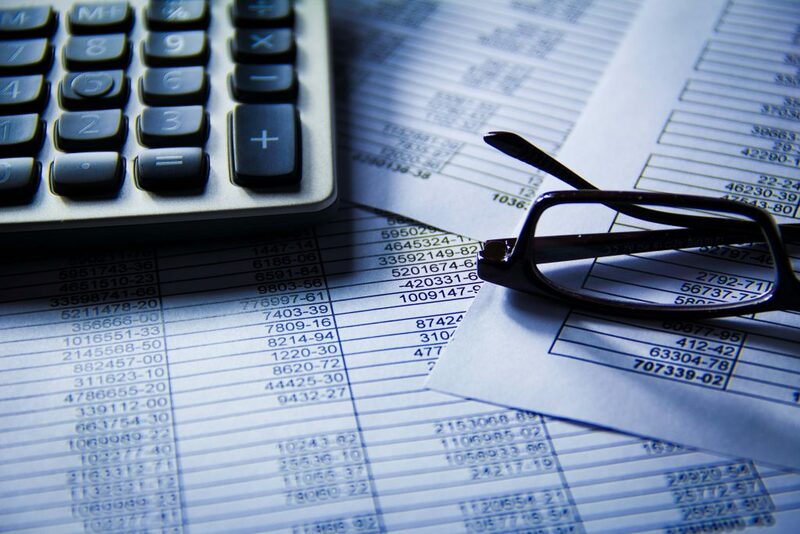 The Sygnal Portal offers an additional revenue source in the form of onboard advertising. Operators can offset their monthly data subscription by sourcing advertisers and promoting local businesses through their passenger WiFi. Great technology should be adaptable to the unique needs of customers. The one-size fits all model rarely works for everyone, particularly in the age of personalised service. What works for the nationwide transport group, might not work for the local, independent operator. For instance; onboard entertainment, where passengers enjoy TV and movies, is essential for long journeys on inter-city services. For local urban services where journeys last no more than half an hour, however, onboard entertainment would be largely redundant. Simultaneously, these onboard technologies should require little technical knowledge on the customers part. Independent operators are less likely to have their own engineers on staff, so installation and upkeep should require minimum effort. Just as importantly, modern, connected technologies should be reliable. After all, inconsistent technologies will lead to more complaints than if the technology wasn’t there at all. Sygnal’s compact design allows operators to choose their preferred method of installation. Of course, installation can be affected by different factors, including vehicle layout and powering. Operators who require a unit for each vehicle often choose to power units through the vehicle wiring harness. Operators looking to quickly move units between vehicles, however, tend to opt for the cigarette lighter adapter socket. Thankfully, our team of experts are always on hand discuss the best option for you. At its heart, Sygnal’s mission is to remove the technical barriers from acquiring, installing and using onboard WiFi. It’s only by simplifying these processes that we can create a truly connected world. Sygnal strives to make the connection process as simple and cost-effective as possible. Get in touch with Sygnal today to find out more about adding passenger WiFi solutions to your vehicles. To say transport has changed dramatically in the past decade would be an understatement. Onboard innovations like GPS, analytics, IoT and onboard WiFi (coupled with the ubiquity of the smartphone) have transformed how we explore the world. In public transport, these innovations have been spurred on by investment from government bodies. Private hire transport operators, however, have been largely left to their own devices. One sector, in particular, has been consistently overlooked in the push for onboard technologies; the motorhome industry. The touring caravan, motorhome and caravan holiday home industry contributes more than £6 billion to the UK economy every year. There are roughly 1.1 million leisure accommodation vehicles in use in the UK. Despite this, margins in this industry can be razor-thin. Fluctuating seasonal demand and the continued popularity of overseas package holidays have been persistent challenges to the industry. As a result, most motorhome hire firms have tended to resist integrating new technologies. But that’s a huge loss for the industry and for motorhome enthusiasts. 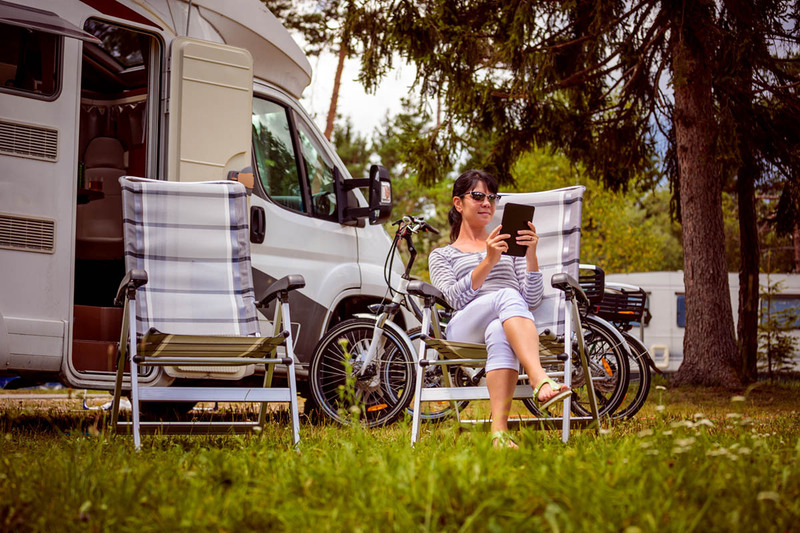 With affordable, robust and reliable motorhome WiFi, travellers can explore anywhere and stay connected at all times. How does motorhome WiFi work? Unlike the WiFi in your home, motorhome WiFi must be powered by a data SIM. With no static broadband infrastructure, the WiFi found in road vehicles relies on sending and receiving data via signals transmitted from network towers. The onboard wireless router jumps between different towers based on which has the strongest signal. The strength of a signal depends largely on how close the Server is to the tower, but other factors (such as the surrounding landscape or how many other people take their data from that tower) can also affect coverage. 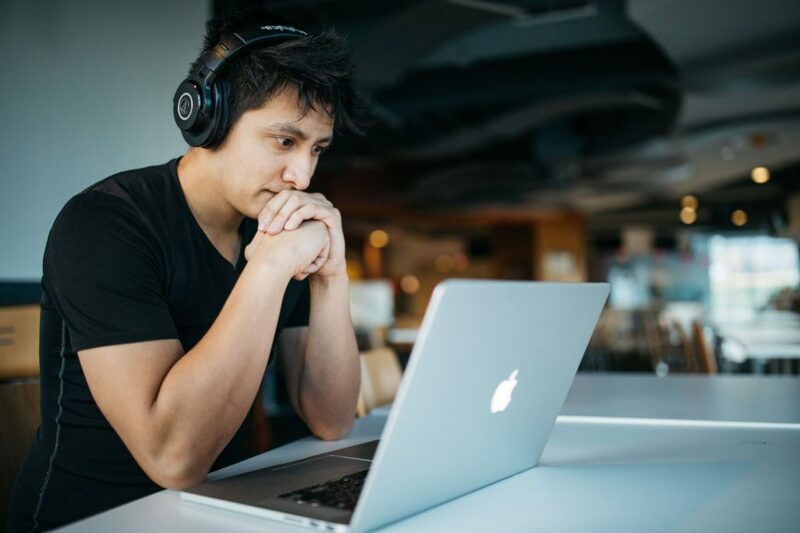 Passengers connect to the onboard wireless router via a device with WiFi capabilities – usually a laptop, tablet or smartphone. In areas with limited data coverage, vehicles can benefit from an additional aerial to increase the units reach. Why do hire companies need WiFi? Onboard WiFi is a valuable amenity for a range of reasons. Passengers on public transport expect WiFi as standard, but these same passengers usually have limited alternatives. In private hire transport, however, passengers have a choice about who they travel with. Free WiFi can be a deciding factor in who they choose. 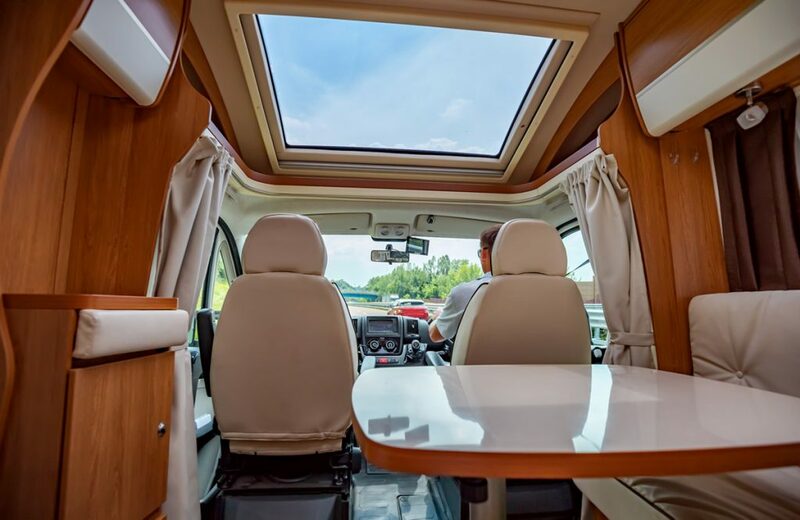 Likewise, travellers looking to book a campervan or motorhome will almost certainly include the presence (or lack) of onboard WiFi in their deliberations. Not only can motorhome WiFi boost sales, but it can also seriously increase the odds of return bookings. In this connected age, travellers expect to be able to share the latest pictures, browse their socials and catch up on work, wherever they are. 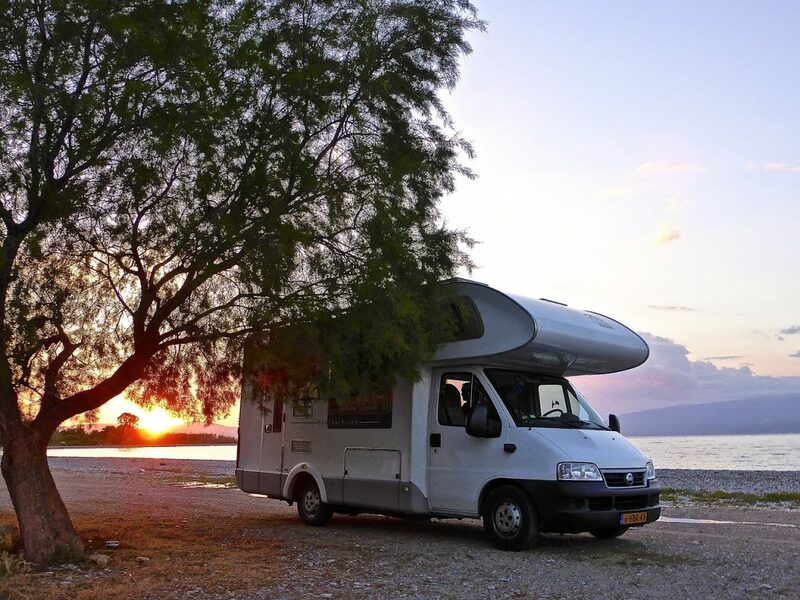 Campervan companies capable of providing this connectivity have a distinct advantage over their competitors. Installing WiFi in your motorhome should be as simple as adding GPS or a dashcam to your vehicle. Sygnal wireless routers are designed for non-invasive installation, meaning they can be plugged directly into the power on your campervans and moved between vehicles quickly and easily. Every router also comes with a baseplate and screws to secure the unit in place; essential for campers looking to go off the beaten track. With a range of over 30 metres, you can place the Sygnal wireless router anywhere on your campervan. Provided the unit is secure and has space for ventilation, you’ll be able to enjoy WiFi almost anywhere. Sygnal offers several options for powering your onboard wireless router. Of course, how you choose to power the unit depends on your vehicle setup. Cigarette lighter adapter cables allow customers to power their unit through their vehicle dashboard. For those looking for a fixed powering solution, Sygnal provides power cables to hardwire units directly into the vehicle wiring harness. Onboard campervan WiFi is just one aspect of the retrofitting process. For campers and hire firms alike, there is a range of technologies to further enhance the campervan experience. 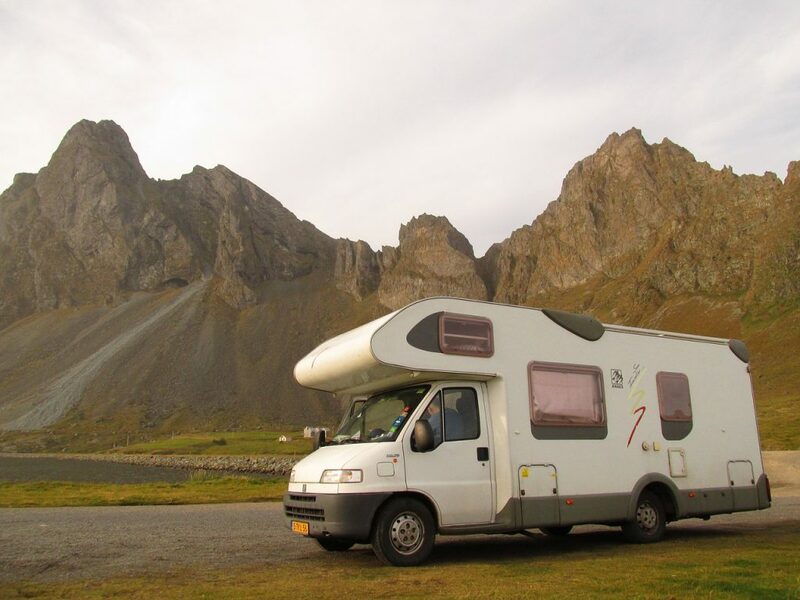 Campervans with a Sygnal unit can also be fitted out with GPS, allowing motorhome rental agencies to keep track of their vehicles wherever they are. This is particularly useful for locating vehicles that fail to return at their specified drop-off time. With access to the Sygnal portal, rental agencies can also verify that passengers are adhering to local speed limits: vital information in the event of a crash. For individual campervan owners, studying GPS routes can also provide valuable insight into the different routes they take. Every Sygnal wireless router also comes with options for dashcam integration. For rental agencies, this can be an essential resource in the event of a road accident. The in-built G-sensor stores footage in the aftermath of an incident. This footage can be incredibly valuable for campervan hire firms and individual campers alike. With incontestible video evidence, hire firms can avoid paying out for false claims. Dashcams don’t need to capture a crash on film to be useful, however. Even their presence on vehicles can be enough to reduce insurance premiums and deter drivers from exceeding the speed limit. Sygnal’s onboard campervan WiFi also comes with in-built storage for streaming content. With options for anywhere from 16 to 128GB of internal storage, campers can choose from the latest movies, TV and music; a handy distraction when rain cancels your outdoor plans. 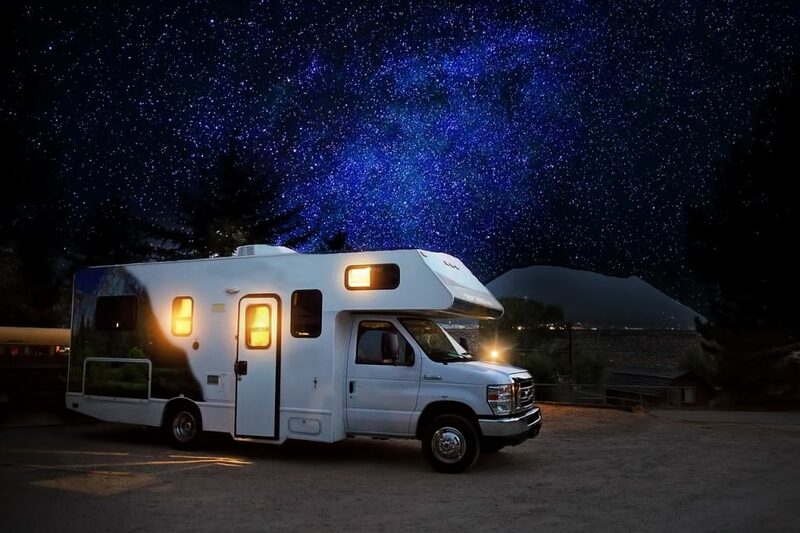 For motorhome rental firms, onboard WiFi also represents a unique opportunity to gain additional revenue. That’s because Sygnal onboard WiFi includes options to integrate advertising content from relevant businesses. Advertising can be particularly relevant to campers travelling in an unfamiliar area. For advertisers, the appeal is obvious; campers seeking a local restaurant, attraction or a place to park for the night might not find their business on Google. With ads pushed direct to campers via the WiFi, however, businesses can be assured that campers know where they are. But beware; even though hosting an advert might not be seen as an endorsement, campers will invariably associate any ads coming through with the WiFi with your campervan hire company. It’s vital you consider each advertising opportunity and the risk involved as it comes. It’s springtime and that means the festival season will soon be upon us. Whether you’ve offered festival coach hire for years or you’re just starting out, it’s important to stay informed of the latest information. And 2019 looks set to be the busiest year for festivals yet, with over 500 large-scale events scheduled to take place in the UK alone. With that in mind, Sygnal has put together a handy guide for this festival season. Read on to discover the secrets to keeping festival-goers happy and establishing your company as the go-to for festival transport. Transport hire is often the second port of call for festival attendees after booking their tickets. Festival organisers often partner with respected transport companies to combine ticket bookings with transport. The biggest festivals will likely have established business relationships with known operators. Smaller event organisers, however, could be receptive to developing new transport partnerships. If you do procure a festival coach hire contract, it’s vital you can meet supply so pencil in tickets sale dates well in advance. 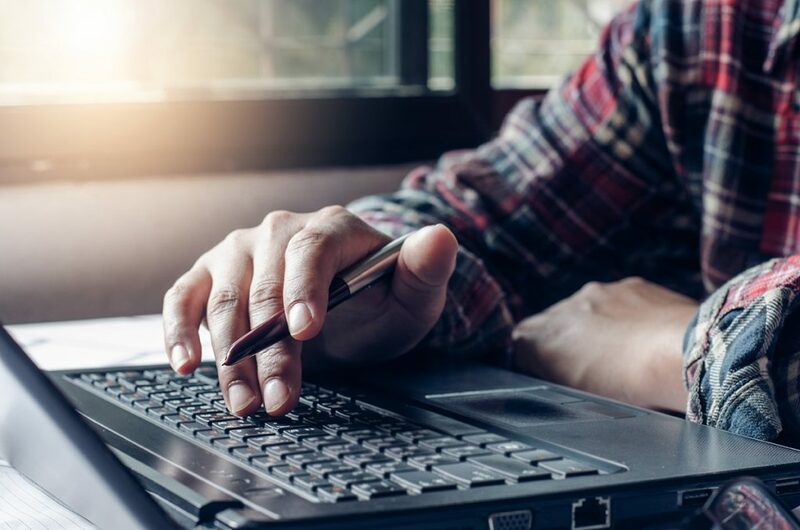 Managing bookings is only possible with a coherent booking system, so check out our guide to streamlining the booking process on your website. Only take bookings over the phone? Make sure you have an efficient system (and enough staff) to process the orders in a timely fashion. Remember, every missed call is a missed opportunity for more sales. Simultaneously, it’s not unreasonable to request a deposit on large bookings, particularly if festival-goers want to book an entire vehicle. Designate a pick-up-point well in advance. Of course, this point should be easily accessible to your vehicles and allow your vehicles time to idle. The pick-up point must be accessible to passengers too, especially as most will arrive with several days worth of supplies. Simultaneously, make sure your drivers maintain ample space surrounding the vehicle so passengers can reach the underneath compartment to stow their luggage safely. Be very clear on the departure time – particularly if you are travelling a significant distance to reach the festival grounds. If you’re supplying multiple vehicles, try to stagger them to arrive and depart at different times to prevent congestion. The bigger the festival, the more logistics have (usually) been designated to assist traffic flow. However, larger festivals also mean more attendees, which mean more vehicles on the road. Either way, festival routes often become congested, sometimes days in advance of the event itself. It’s your job as a transport operator to figure out the least circuitous route for your passengers. Of course, festivals are often staged in remote areas with limited access points, forcing vehicles to converge upon one particular route. There’s not much you can do once your vehicles hit this point. There are, however, ways to optimise the journey prior to this. Sygnal’s fleet tracking software allows you to study journey times and identify bottlenecks on specific routes. Traffic updates provided through the GPS and onboard WiFi enable drivers to adapt routes according to anticipated journey times. Not only does this ensure passengers reach their destination in good time, but it also saves on fuel consumption. At most major festivals, you as the coach provider will be responsible for sourcing your parking spaces. Smaller festivals may not have particular designations for specific operators, but that doesn’t mean you can’t plan ahead. Festival organisers will have a detailed layout of the festival grounds, which they should provide upon request. The onus on establishing a reliable, safe parking procedure falls, of course, to the festival organisers. However, there are several steps you can take to simplify the process. Designating seating prior to boarding, along with organised luggage storage in the underneath compartment, enables passengers to disembark in an orderly fashion. 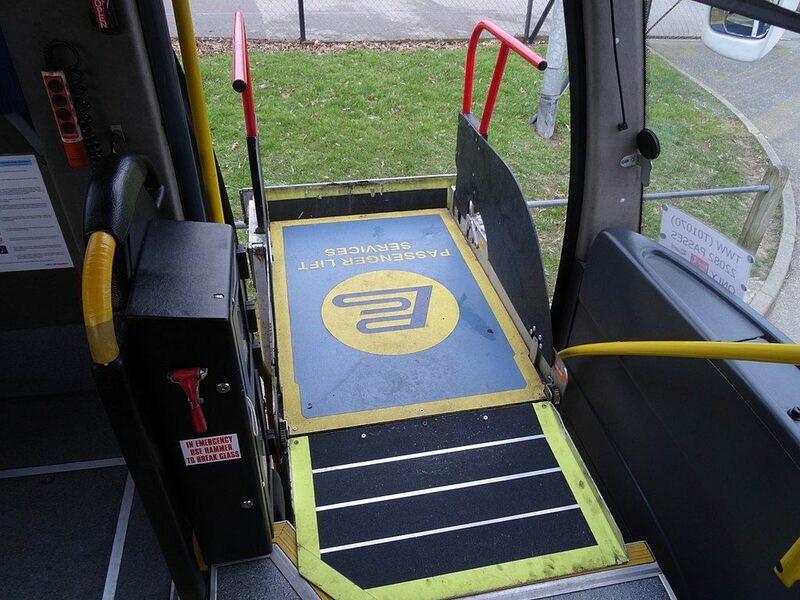 Likewise, it’s important to make any requirements known in advance; for instance, if you are travelling with any passengers that require wheelchair access. These precautions help ensure an efficient drop-off process and show passengers you recognise them as more than just a number. 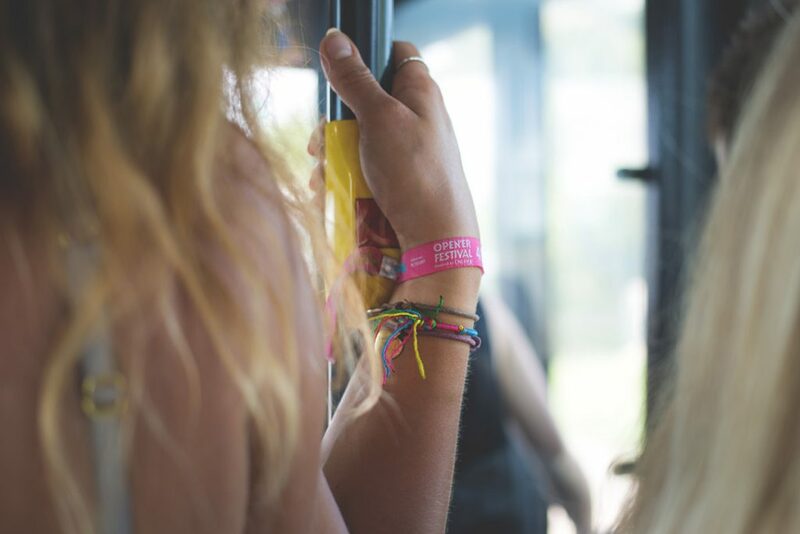 The type of passenger depends largely on the festival, but there are a few golden rules every operator should abide by. State bus T&Cs on your website and ensure passengers are aware of them before boarding. This way, both driver and passengers can enjoy a safe, comfortable journey. If you’re travelling a long distance and don’t have toilet facilities, make sure to stop every few hours. After every deboarding, run through a passenger check again (leaving passengers behind doesn’t exactly make for good PR). If you allow alcohol to be consumed on board, be prepared for your passengers to get a little louder. Similarly, passengers drinking alcohol are likely to use your onboard facilities more frequently. If your vehicles don’t have onboard toilets, drivers should expect more frequent requests to stop, which risks disrupting your schedule. Festival coach hire also represents a unique opportunity for coach hire companies. Onboard advertising can bring in additional revenues all year round. But when deployed through onboard WiFi on festival coach hire, operators have a specific audience with specific requirements. Attending a festival, especially one held in a rural area, requires provisions. Camping supplies, food, water, clothing, toilet roll, even electronic extras like power banks. 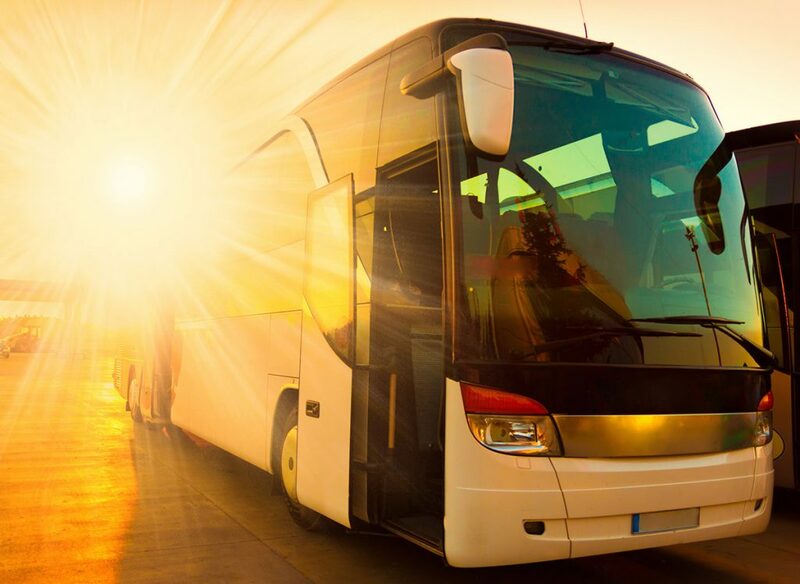 Coach hire companies can gain an additional revenue stream through the sale of these provisions. 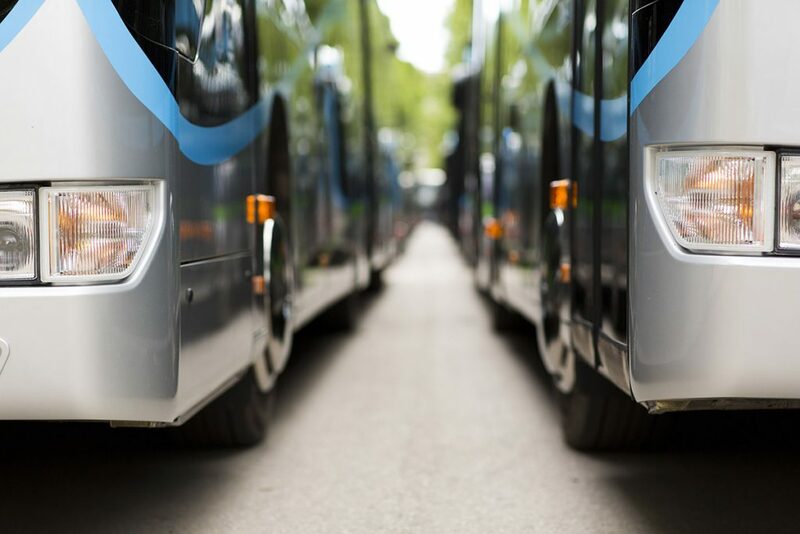 Coach hire operators can also gain advertising revenue by providing links to partner businesses. These businesses could be anything from companies with a festival stall to clothing from bands appearing at the event. Of course, these partnerships can take several festival seasons to develop, but they are worth investing in. It’s fair to say that some passengers may not be in the best of shape for the return journey. That’s why it’s important you specify a pick-up location and time and stick to it. Multiple vehicle pick-ups, set over a staggered schedule, increase your chances of rounding up all passengers for the journey home. It also helps to consider the mindset of your passengers on their return journey. They’ll likely be tired, elated and, if they’ve been camping, not as clean as they might like to be. Simultaneously, depending on the venue, many may have been without WiFi for days. This offers you another unique opportunity. Passengers can quench their thirst for data with your onboard WiFi, while you as the operator can promote suitable products through the advertising platform. It’s not all about pushing promotions, however. Little touches like free bottled water or hygienic wipes can be a great way to end the trip with a smile. And happy passengers mean customers that are more likely to book with you again. To find out more about festival coach hire, get in touch with Sygnal here. As every taxi firm knows, new technologies promising to ‘revolutionise the journey’ are ten to a penny these days. However, that’s not to say there aren’t valuable technologies out there. For every ten new innovations, there is one that can genuinely increase efficiency, reduce costs and improve the passenger experience. Of all these new transport technologies, it’s safe to say that onboard WiFi has had the biggest impact on the passenger journey. In fact, WiFi is now a ubiquitous feature on buses, trains and even planes. All of this leaves you wondering, why has the taxi industry been so slow to embrace the onboard network? If you’re operating a taxi firm without onboard WiFi installed in your cabs, you probably have your reasons, but it’s worth considering the arguments for WiFi. 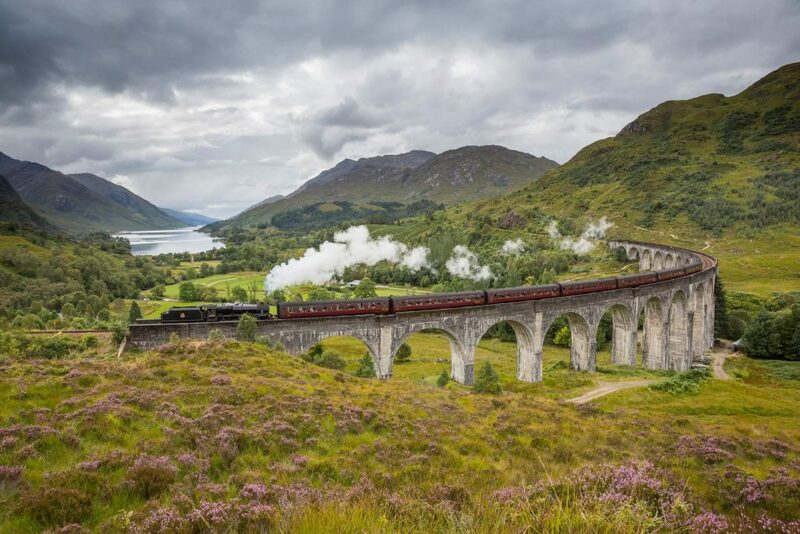 After all, just as an object will select the path of least resistance, passengers will always opt for the transport with the best connectivity. It’s not exactly news that the world today is fixated on connectivity. At home, at work, at the pub; it doesn’t matter where we are, we want to maintain some kind of digital link with the world. 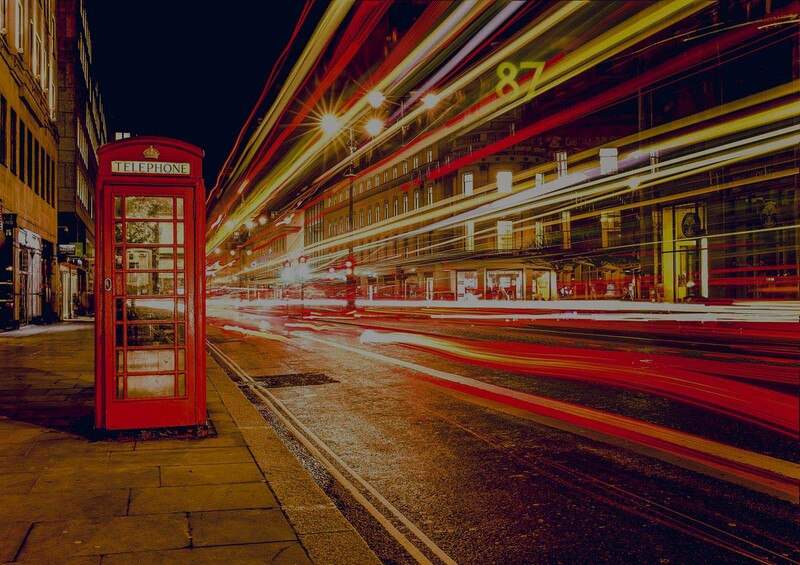 For taxi firms, onboard WiFi represents the next logical evolution in customer service. Your passengers aren’t simply looking for the cheapest and most reliable form of private travel – they’re looking for comfort, consistency and connection. Even passengers on a relatively short journey will appreciate access to in-taxi WiFi, particularly if they’re young. Passengers on their way to work can use the connectivity to start the workday early. Meanwhile, passengers unsure of their exact destination can use the onboard WiFi to establish where they need to be dropped off. Travelling overseas is great, but it’s not always ideal for connectivity. While data-roaming is now fairly consistent across the EU, visitors from elsewhere often have to shell out large amounts for a data package. That’s why tourists arriving at an airport are more likely to choose a taxi with WiFi. 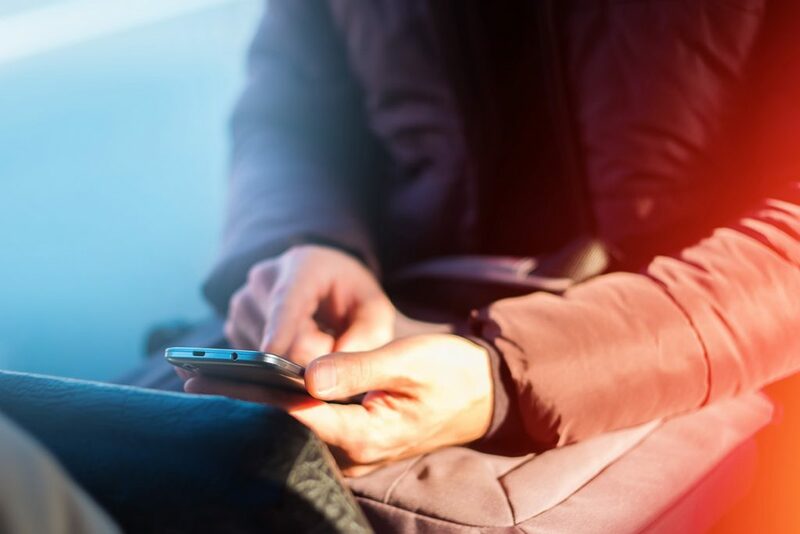 Whether checking into their hotel, arranging to meet friends or just finding their bearings, in-taxi WiFi is an invaluable amenity for overseas passengers. Additionally, the presence of WiFi in a taxi can be more appealing than that of a bus or a fixed public WiFi because the user will be one of the only people connected through the secure 4G connection. Unlike in bars, restaurants or other public areas, passengers using the WiFi in a taxi can be assured that they are accessing the connection alone without the worry of losing speed because of the other passengers already online. It’s not just overseas passengers that want WiFi wherever they go. Travellers on their way to the airport will always welcome free WiFi. We’ve all been there – rushing to the airport, frantically trying to recall if you locked the front door, checked in for your flight, remembered your reservation details, etc. These days, travellers have a whole host of ways to check these things (except for the front door, sorry, you’re on your own there). But these last-minute checks, invariably, require some kind of internet connection. And if a passenger can’t use their own data, they’re going to require connection of some kind. 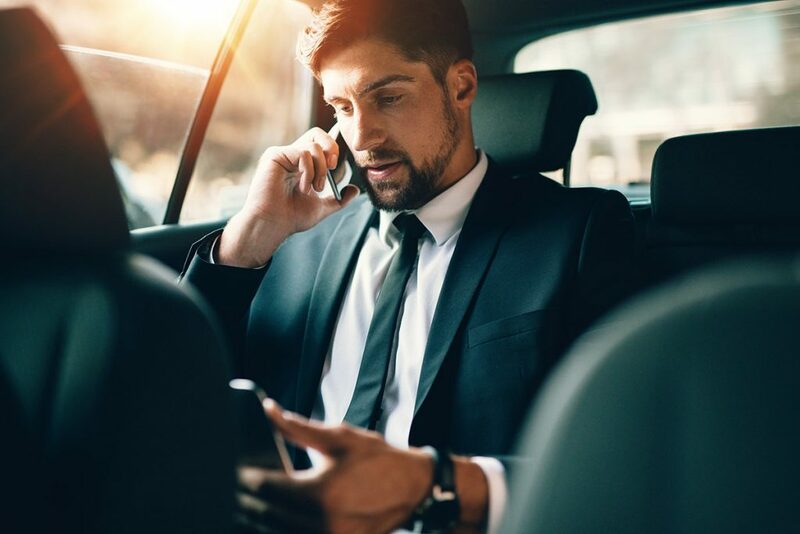 That’s why in-taxi WiFi is such a valuable feature – if your connectivity can help them out in an hour of need, they’re more likely to use your firm again. A captive portal is a great way to engage with your passengers before they begin browsing, not to mention alerting WiFi users to your terms and conditions. It’s also a chance to get to know your passengers. Many firms ask for an email and other contact details before granting access to the internet. This way, firms can keep a record on who has accessed what on their WiFi and keep customers up to date on company news. It’s important you don’t then bombard their inbox with unnecessary information or spam. It’s always a good idea to offer something on top of company updates in turn for providing contact details. For instance, the chance to enter a competition and win prizes can be enough to prompt passengers to share their contact details. With passengers willingly submitting their contact details, you can begin to build up a clearer sense of your customer base and tailor services to their specific needs. It’s not just passengers that enjoy access to WiFi. Drivers, who spend more time than anyone in a taxi, will also appreciate the introduction of onboard WiFi. 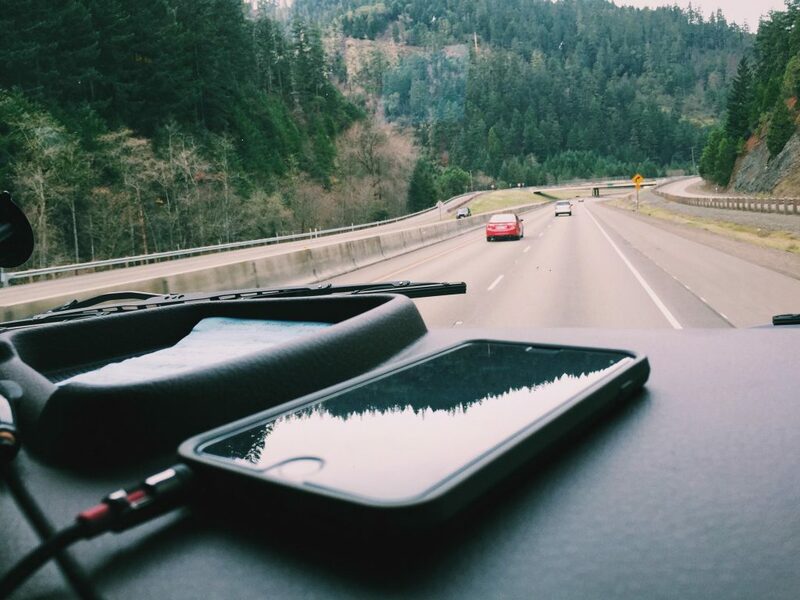 Of course, drivers should never use a device while driving, but that doesn’t mean there aren’t periods of downtime where a driver is required to sit and wait. As we all know, it’s in those moments of boredom that people reach for their phones. Onboard WiFi isn’t just designed to improve the in-taxi experience. It can also open up new channels of communication for the driver. Of course, firms will already have at least one established line of communication with headquarters. But with onboard WiFi, drivers can also receive updates on traffic developments and adjust routes accordingly. For taxi firms considering implementing a mobile app, onboard WiFi in every vehicle is a must. Informing passengers about delays prior to pick-up is only possible if the vehicle can report to head office. Drivers can do this manually, but an inbuilt connection enables automatic updates and ensures passengers are never left in the dark. Get in touch and find out more about Sygnal Taxi WiFi here. For any coach operator, identifying the right onboard technologies requires time and a careful appraisal of your requirements. That’s why operators tend to opt for an eclectic mix of solutions, purchased when and where they can afford to roll them out across the fleet. But this approach comes with its downsides. Technologies end up with wildly disparate capabilities, not just in their performance, but in their ability to communicate with each other. That’s why Sygnal offers a range of packages, tailored to meet the specific needs of every transport operator and centralised through one system. So whether you’re a large, national operator or a small, local coach firm, there’s a Sygnal package to meet your needs. Of course, the size of your fleet will be a key factor in the kind of technologies you require. Are you a small local coach hire company looking for a simple onboard WiFi system or a nationwide operator looking for an entire onboard overhaul? Each Sygnal package comes with onboard WiFi and access to the Sygnal Portal as standard, but for some operators, this is just the tip of the iceberg. Small coach companies with just a few vehicles, for instance, might be looking for a simple Sygnal WiFi and Portal package. Major operators with hundreds of vehicles, meanwhile, are more likely to require robust fleet-tracking technology than a small local service. Of course, every operator has a different idea of what their company needs to grow. That’s why we encourage our customers to discuss their current requirements and future growth prospects before establishing which Sygnal package best suits their needs. It’s not just the size of your fleet that determines the kind of technologies you require. The typical daily functions of your company will go some way to dictating the scale of your Sygnal package. Do you operate school routes? 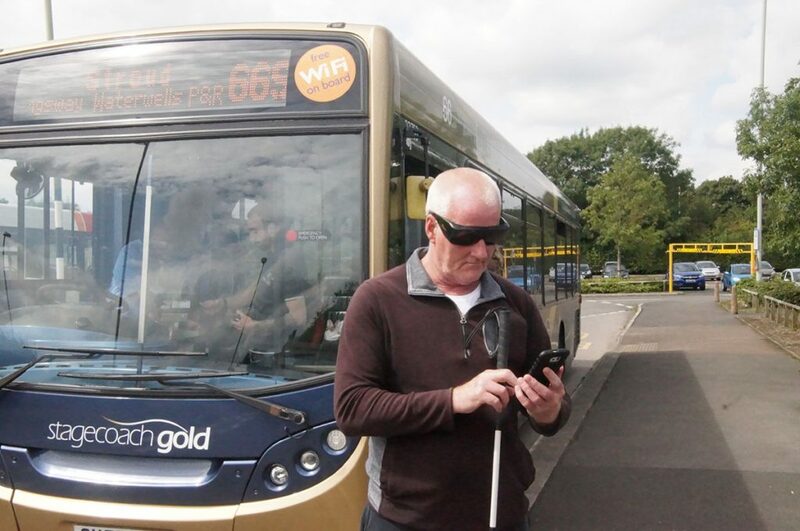 If so, onboard bus CCTV could be an essential technology. 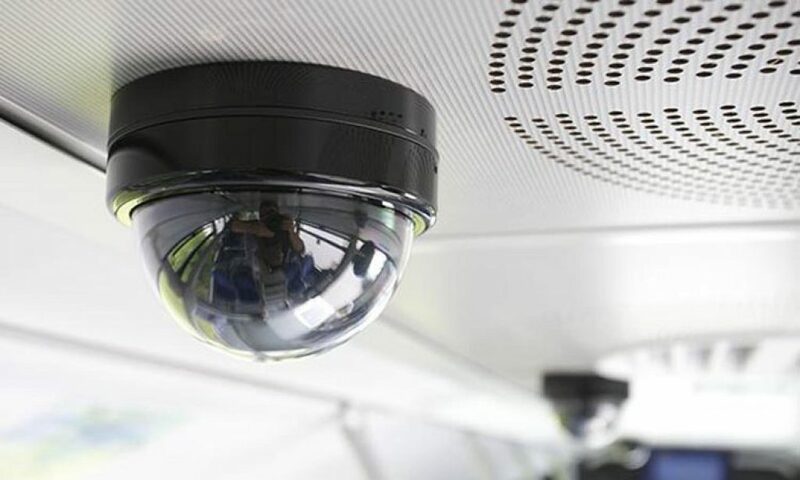 For safety purposes, many schools now require their coach operators to provide CCTV as a standard safety feature. Operators looking to expand their local bus contracts, then, will not get far without onboard cameras. Likewise, operators that choose to integrate CCTV will be better positioned in school transport tenders. Do you run coach tours? 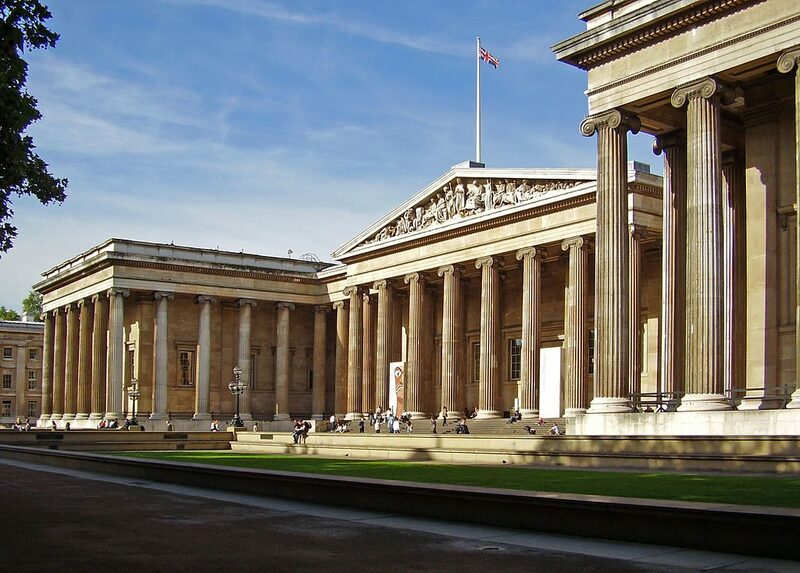 Coach tours can cover a wide range of services. Whether it’s for international or domestic passengers, the unique requirements warrant a specialised service. Discerning these requirements before you purchase your Sygnal Package is integral to getting the most value for money. For instance, coach tour companies operating in remote areas of the country might require signal enhancement technology to ensure total connectivity. Meanwhile, operators running tours for overseas tourists may want to consider integrations for translation tools for their onboard content. Do you run tours abroad? The same goes for operators who run coach tours abroad. Sygnal WiFi functions anywhere within the EU, so connectivity isn’t a problem. However, operators will require accurate GPS and fleet-tracking software, particularly if a vehicle is travelling a new or remote route. Operators running tours to areas outside the EU will be required to purchase an international data package. Alternatively, invest in some offline content to keep passengers entertained when they enter non-EU territory. Do you run regular local services? Operators running regular services, whether it be across local, regional or nationwide areas, have their own unique set of requirements. To begin with, operators who run services on scheduled routes, in which the bus stops at established points, may find they don’t require content for the passenger entertainment system. After all, if most passengers are only onboard for twenty minutes to half an hour, they’re unlikely to want to start watching a film. Mobile ticketing, on the other hand, is an essential tool for operators running regular routes. 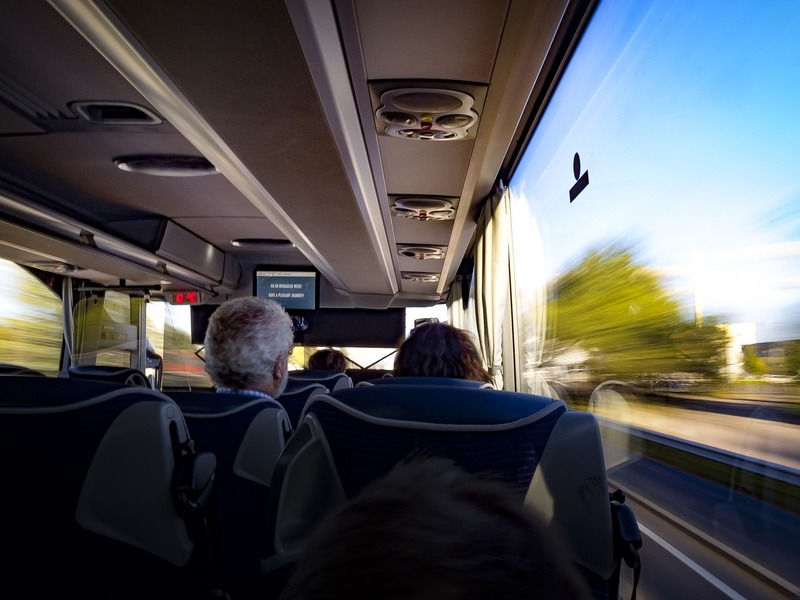 For coach companies who run infrequent services between specific destinations, mobile ticketing can be a useful tool but is not necessarily essential. The needs of your fleet are defined not just by the type of coach tours you run but also the typical locations in which you operate. 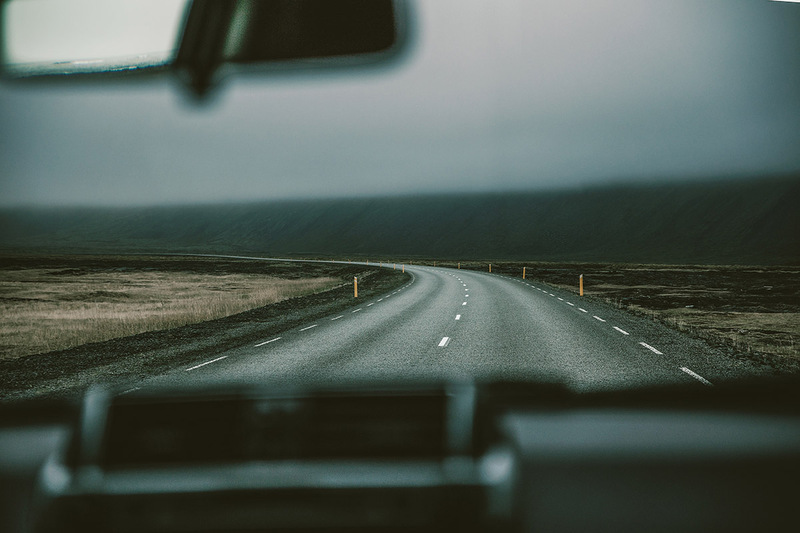 As we said before, if your routes tend to adhere to remote areas, you’re more likely to encounter issues in connectivity and maintaining visibility of your vehicles. Rural commutes tend to involve longer journeys, so it’s a good idea to consider additional features that decrease pressure on the 4G data connection. Simultaneously, rural transport can experience significant delays as a result of closed roads or slow-moving vehicles. Sygnal’s GPS system enables operators to keep track of their vehicles and redirect them should they notice an obstruction somewhere on the route. Similarly, in urban areas, your biggest concerns will be navigating traffic and security. The Sygnal Secure Package comes with CCTV, dashcams and GPS along with Sygnal’s robust WiFi. Through these technologies, drivers can monitor onboard events, use the dashcams to navigate narrow gaps on busy roads and receive real-time updates on local traffic disruptions. Many operators run services that cover both urban and rural routes. The Sygnal Fleet package comes with a suite of technologies designed to meet the diverse needs of every modern bus company. Although likely to have the most significant impact on your technology needs, your customer base is usually the most difficult to qualify. Regardless of how diverse your customer base might be, it’s vital you establish your typical demographic and take steps to tailor your services to their needs. Schoolchildren, although limited in their access to smartphones, are major consumers of WiFi. However, younger passengers must also be protected from harmful content. That’s why Sygnal comes with inbuilt options for parental locks and age verification. Operators can also block websites on specific servers to further protect children. Any company that provides some kind of public WiFi will know that passengers between 18-30 years old are the highest consumers of data. Millennial travellers are also the most common users of public transport, excluding the elderly. Sygnal already blocks access to data-heavy websites (including video-streaming such as YouTube), so you can rest easy that they won’t drain your data. 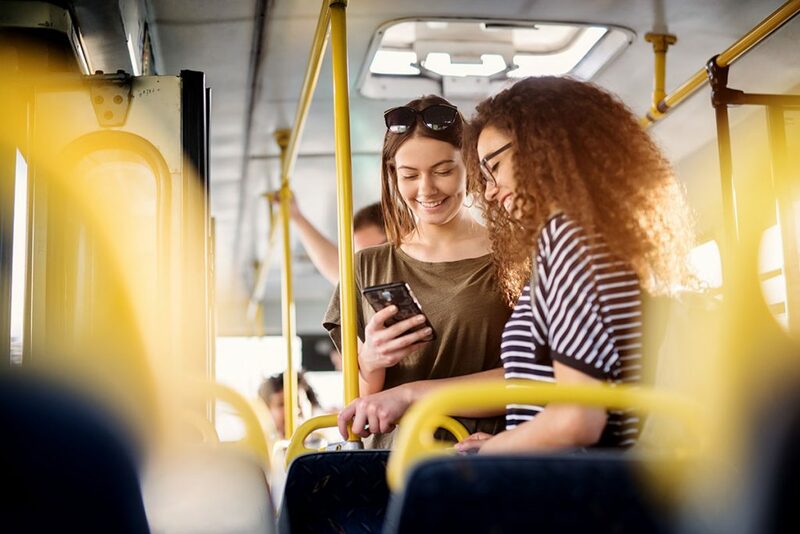 Simultaneously, every Sygnal server is designed to provide support for up to 60 concurrent onboard WiFi users, so there’s no need to worry about WiFi speeds even with a bus full of young travellers. Worried about exceeding your data limit with a bus full of young travellers on a cross-country trip? No need to fear: Sygnal can place a cap on your servers, so you’re never charged for overages. In addition, the Sygnal Portal (available with all packages) allows you to track data usage on all of your Sygnal servers. If you notice a particular server is close to reaching its data limit, you can choose from a selection of add-ons. That way, your data-hungry passengers stay happy and your service gets the great rating it deserves. Most operators today have at least one onboard technology – whether it be passenger WiFi, GPS or CCTV. But, as we’ve discussed before, technologies are often compiled from a range of sources. Not only does this complicate the process of gathering data from these devices, but it also locks operators into multiple contracts with various companies. Even if you’re currently signed up to a contract for another onboard technology, Sygnal can install new devices. However, it’s only with a Sygnal package that you can centralise your existing technologies under one easy to manage platform and consolidate your payments under one simple monthly contract. Of course, any operator already using a mix of onboard technologies knows that requirements are defined by the resources you have at your disposal. Operators who dedicate a member of staff to managing onboard technologies might find it easy running multiple disparate systems. For smaller, independent coach companies, however, this is unlikely. Even large, nationwide operators with a dedicated team could benefit from streamlining all their technologies under one system. If you’re still not sure which Sygnal Package is right for your company, get in touch and we’ll find the best option for you. After all, every modern coach company needs onboard technologies, it’s just about figuring out which best serve your purposes. 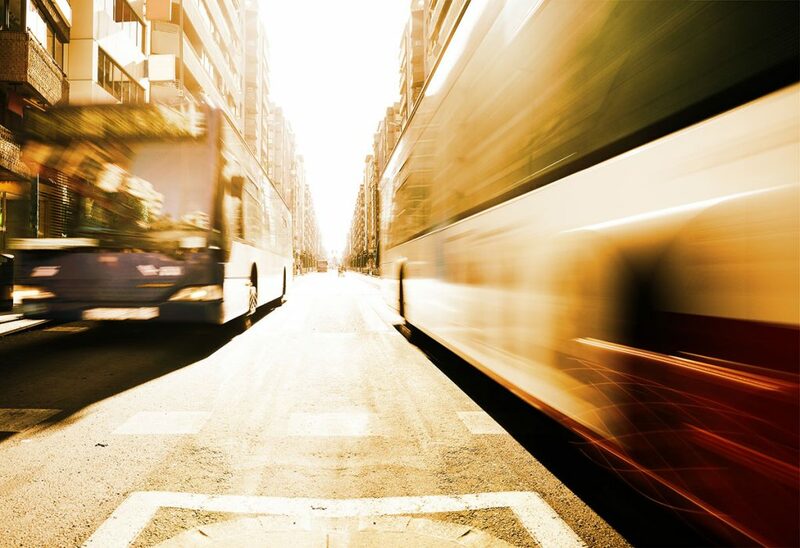 Commercial transport technology is changing at a rapid pace. Wireless charging roads, autonomous coaches on our streets and flying taxis above us; these developments are now within our reach. But in truth, these technologies are still a long way off for the majority of people. Instead, it’s the smaller, less conspicuous technologies that make a difference to ordinary drivers. Features like inbuilt GPS, driver attention detection software and adaptive cruise control are all changing how we get around in subtle ways. But of all the onboard amenities available today, one of the most overlooked is the humble dashcam. 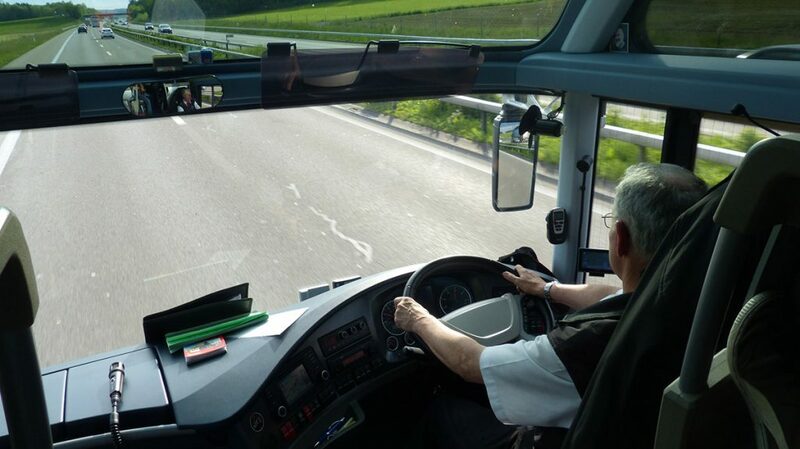 Dashcams for coaches are quickly becoming an essential feature as operators begin to see their value as a tool to lower costs and increase efficiency. So what purpose do dashcams really serve? The dashboard camera of today can serve multiple functions for drivers and operators, a far cry from the blurry footage and boxy designs of yesteryear. First and foremost, adding dashcams to your coaches will go a long way to decreasing your insurance premiums. After all, if you can provide visual evidence of your driver’s journeys, you technically pose less of a risk to the insurers. Be warned, your insurance company isn’t obligated to lower your insurance rates simply because you’ve bought a dashcam. However, it’s generally accepted that installing dashcams on your coaches can lead to reductions, with some insurance providers offering up to a 15% discount for those with onboard cameras installed. In 2015, insurers began accepting dashcam footage as evidence when settling claims. That means recorded journeys can give operators leverage in the event of an accident. Clear, incontrovertible evidence can be used to expedite investigations and reduce the amount of time a vehicle is off the road. These ‘cash-for-crash’ scammers often stake out their victims in advance. The very presence of dashcams on your vehicles could be enough to deter anyone from trying to scam you. Of course, if they do try to instigate a crash when your vehicle is stocked with CCTV, they’ll soon discover that their luck has run out. Dashcams are also a handy addition for operators looking to integrate another layer of security to their fleet. While onboard CCTV gives operators total visibility of anything that happens on their coaches, it doesn’t capture the action outside. Capturing external footage won’t protect drivers and passengers in the event of a crash, but it can make drivers think more about how they’re driving. While it’s true that some insurers suggest drivers cover or hide their dashcams when the vehicle is empty, a visible camera can act as a vital deterrent to criminals. Even the presence of a camera can be enough to make thieves think again. Dash cams can increase more than just driver and passenger safety. With integrations for Pedestrian Auto Emergency Braking technology, coaches can potentially alert drivers to vulnerable road users and reduce the impact speed of a crash. Front and rear dashcams for coaches are increasingly being used to track journeys and identify congestion points. When used in conjunction with tools like the Sygnal GPS and Engine Tracker, operators can begin to build up a detailed understanding of where vehicles are most likely to experience delays. From these insights, operators can begin to cut down on fuel consumption, reduce journey times and increase passenger satisfaction. It’s not just about data analysis and route optimisation. Drivers are also in a unique position to capture stunning views. 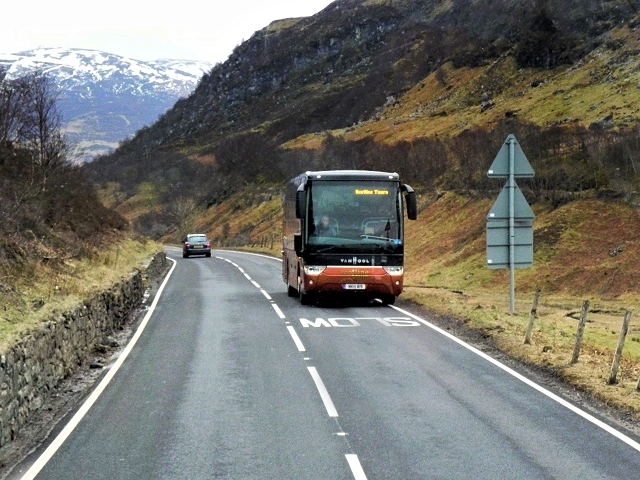 Picture driving through the scenic Scottish Highlands or exploring the twisting country roads of the Lake District; these images can be used to sell your journeys to new passengers and update your company website. Dash cams can also be a great source of information for new drivers in the form of visual training material. Offering visual instruction on how to manoeuvre tight spaces, respond to high-speed incidents and adhere to local driving regulations when on an international coach tour; dashcams can capture real-world illustrations of all these and more. Video footage gathered from different driving situations can inform new practices and define standards for a new generation of drivers. Simultaneously, new drivers can record their journeys, then receive feedback from instructors on where they need improvement. It’s an offence to cover or obscure front or rear windows in your vehicles, so any dashcams must be positioned correctly. That’s why Sygnal provides a handy guide to setting up and placing your cameras with every purchase of a Sygnal dashcam. As the operator, you are obligated to inform passengers that you have recording equipment on board. This can be done easily, however, with the addition of a clearly displayed vinyl sticker on your vehicles. Not every insurer will agree to use dashcam footage in a claim, particularly if the footage only provides a one-sided view of the incident. Of course, having a dashcam system is still a better option than not having any kind of footage protection. Even with these considerations, dashcams are an invaluable investment for your coach company. With Sygnal’s centralised onboard CCTV system, operators can monitor footage from all of their vehicles and roll-out updates at the click of a button. Likewise, footage can be downloaded and stored on an external device as and when it’s needed. To see the full range of Sygnal products and packages, click here. To find out more about installing dashcams on your coach fleet, get in touch with Sygnal today. These days, almost every transport network has some kind of onboard technology. Be it onboard WiFi, CCTV, dashcams or GPS. But the steady evolution of new innovations has led operators to collect a hodge-podge of technologies with little or no clear connection to each other. This means operators end up paying several different monthly bills to different companies. Not only does this mean more work for the operators, but it also denies companies access to a complete picture of their daily processes. With a suite of centralised onboard technologies, however, transport networks can remotely manage their onboard footage and monitor WiFi usage through one system. Transport technologies are a rapidly developing industry, with more operators acknowledging that amenities like onboard WiFi are now an essential feature for journeys. With a huge range of companies and technologies from which to choose, new features are purchased and introduced as and when they can be. This, in turn, has resulted in vehicles packed with a collection of disparate technologies with little or no means of communicating with each other. That’s bad news for passengers and operators alike. Operators miss out on the valuable insights gained from seeing every element of their service together in one place, while passengers lose out on an improved service. With a centralised platform for onboard services, operators gain a comprehensive overview of services. That’s why every Sygnal package offers a completely integrated system, where all your onboard technologies can be consolidated under one platform. Put simply, integrating your current onboard technologies into one platform saves you time and money. 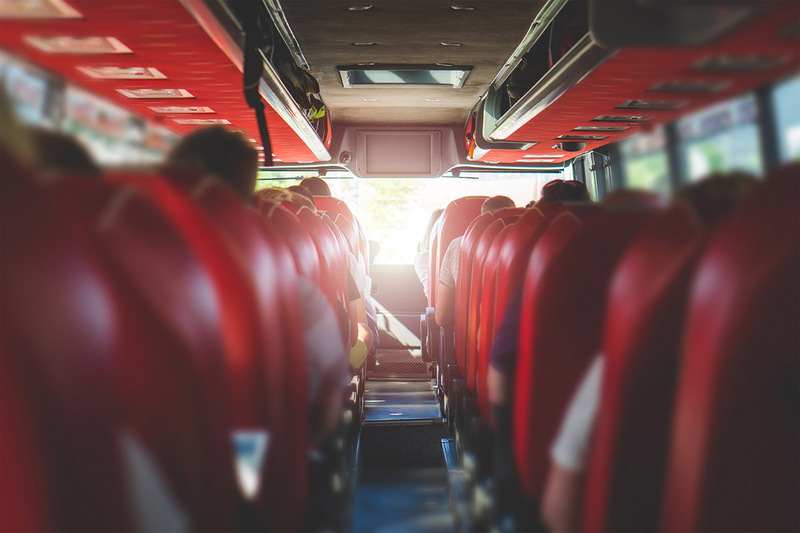 Many smaller coach and bus companies operate on thin margins. That’s not to mention the added headache that comes with managing multiple accounts to different companies. Paying separate companies for your CCTV, onboard WiFi, fleet tracking and any other technology you use is time-consuming and can lead to missed payments. By managing all of your onboard devices through one platform, you have the opportunity to focus on running your business and improving services. Operators using Sygnal’s centralised onboard technologies can relax in the knowledge that their assortment of technologies is covered under one statement. With a range of packages available for companies of every size, Sygnal enables operators to focus on optimising their services and taking advantage of the data insights afforded through the Sygnal Portal. 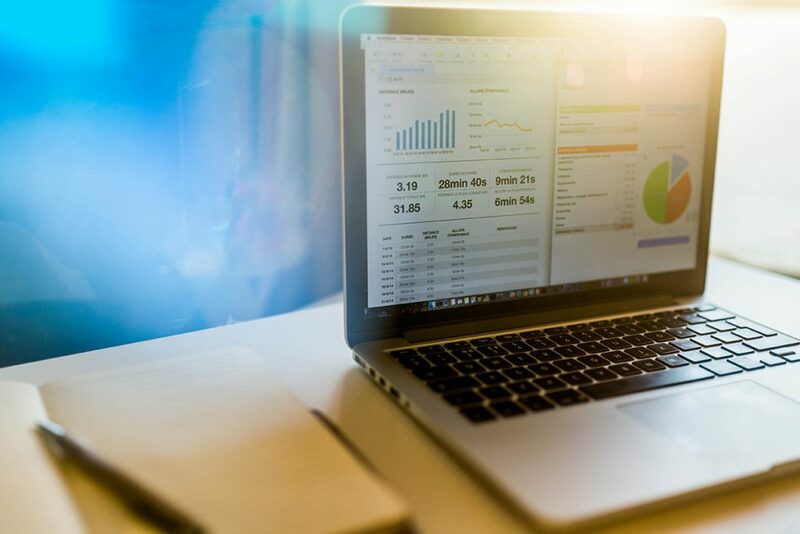 Across every industry, data has become an invaluable tool to steer marketing campaigns and shape services. But, just as in every industry, transport operators often gather their data from a myriad of different sources. This presents a serious challenge when comparing analytics from the different areas of your company. Data silos tend to develop naturally in any organisation. Of course, even in relatively small companies, different departments, services and even vehicles can serve a unique purpose. Between these roles, with their contrasting responsibilities, it’s inevitable that data blind-spots will develop. By centralising onboard technologies through a dedicated platform, you can avoid data-gaps and draw more nuanced conclusions from your customer base. For instance, if you know your onboard WiFi is lagging on certain routes, you can compare these routes to the data from your onboard GPS. You can then consider installing WiFi-booster antenna to expand coverage on specific vehicles. Likewise, if the metrics reveal a significant increase in data consumption for a specific time of day, you can compare these high-traffic points with the number of passengers that boarded through your mobile-ticketing system and increase bandwidth for key times. If transport companies want to truly optimise their service, technologies must be configured to operate as a cohesive unit. The Sygnal Portal provides dedicated access to every element of your onboard technologies, enabling key staff members from every department to create a complete picture of where the business thrives, and more crucially, where it falls short. Onboard WiFi is a near-ubiquitous amenity for transport networks today. Passengers expect connection as a standard feature on their journey, and companies that are unable or unwilling to provide it could find themselves losing customers to their more tech-savvy competitors. 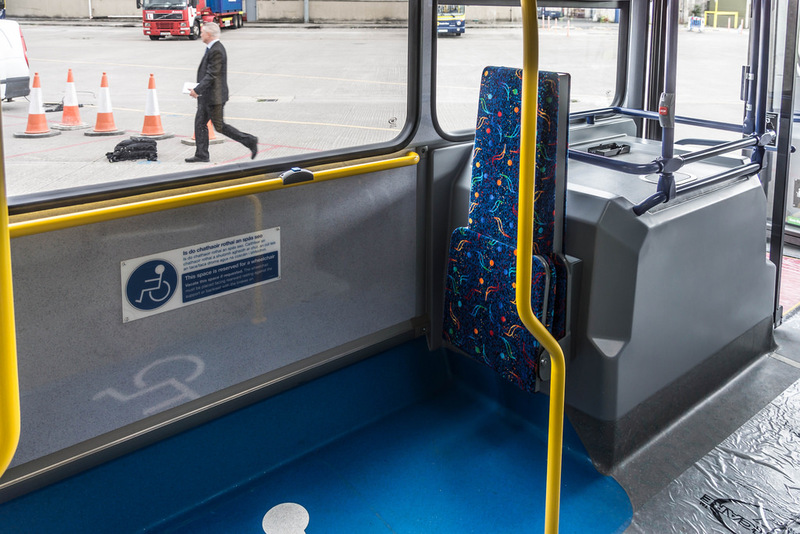 For coach hire companies considering onboard bus WiFi for the first time – we’ve compiled a shortlist of the biggest benefits of installing bus WiFi on your vehicles. With onboard WiFi, passengers can pass the time exploring the world from the comfort of your bus. Not only does this increase the likelihood that they’ll book with you again, but it also makes it more likely they will recommend your services to other people. Onboard WiFi is no longer a novelty feature for the executive coach sector – it’s an essential amenity that almost every passenger expects. A failure to meet this expectation could result in negative reviews and even lost sales. Like in any business, effective brand identity in transport relies on maintaining a relevant corporate appearance. This means staying up to date on new innovations and ensuring passengers are given access to the latest technology. Of course, customer service, cost and convenience are major deciding factors in which company passengers book with, but it’s essential you don’t overlook the power of new technologies in winning and retaining new customers. Onboard WiFi is now seen as an essential feature of commercial transport, but it’s also a great way to better understand your passengers’ preferences. With Sygnal’s passenger analytics, you can begin to build up a detailed picture of your customer base and develop or adapt services accordingly. For instance, if you find the highest number of WiFi users is during the morning commute, you can ascertain that demand for service is greater during this period and adjust your WiFi settings, or even deploy additional services during this time. 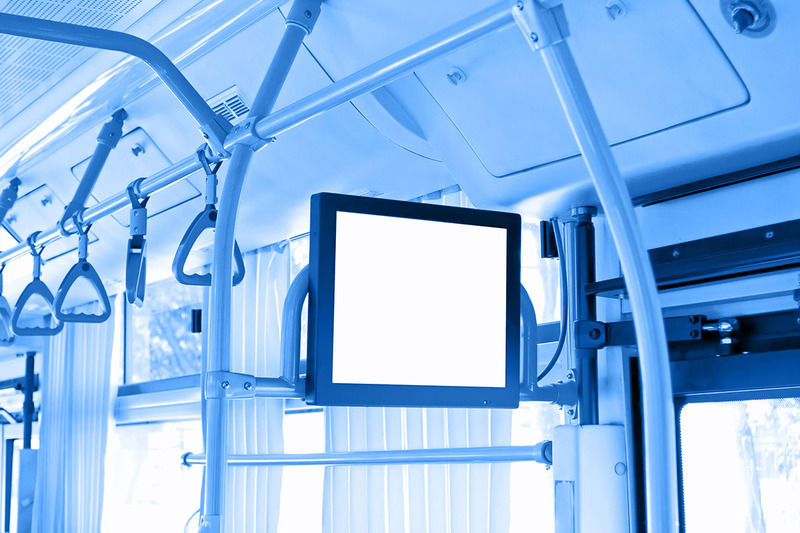 It’s not just passenger-facing features that benefit from the presence of onboard bus WiFi. Your coach service can also increase brand loyalty by improving boarding times, reducing delays and optimising journey times. 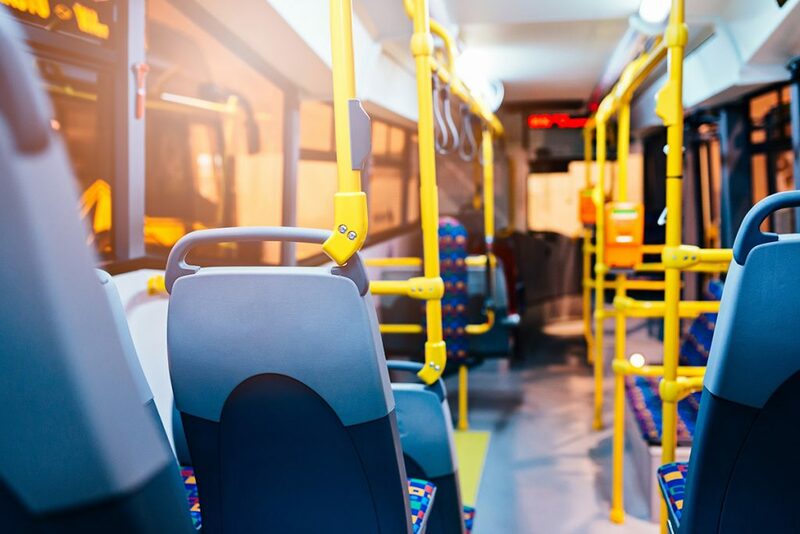 We’ve talked before about how bus WiFi can assist in traffic navigation, but it’s important to remember that these improvements, aside from saving on costs, are ultimately for the benefit of the passenger. Like in any business, the trick isn’t earning your customer’s trust – it’s keeping it. That’s why translating your onboard WiFi into improved operational efficiency is so crucial to maintaining the loyalty of passengers. 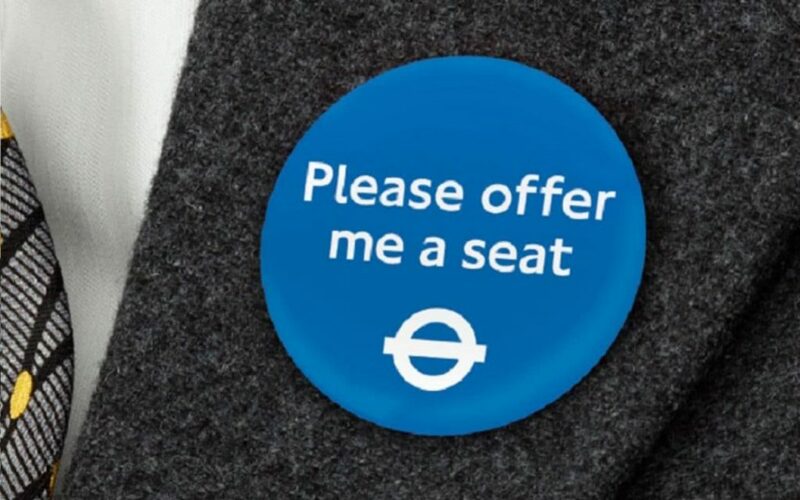 Data isn’t just a valuable resource for improving operations – it can also be used to personalise promotions to passengers. 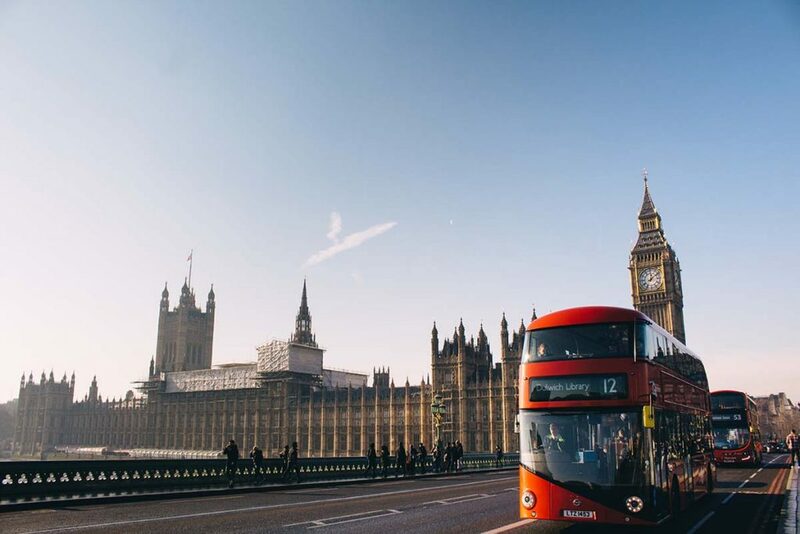 Sygnal’s bus WiFi comes with dedicated access to the Sygnal portal, where bus and coach operators can upload everything from third-party content to custom ads from local and national business partners. The Sygnal Portal also allows users to tailor ads to specific routes, times and even passengers. 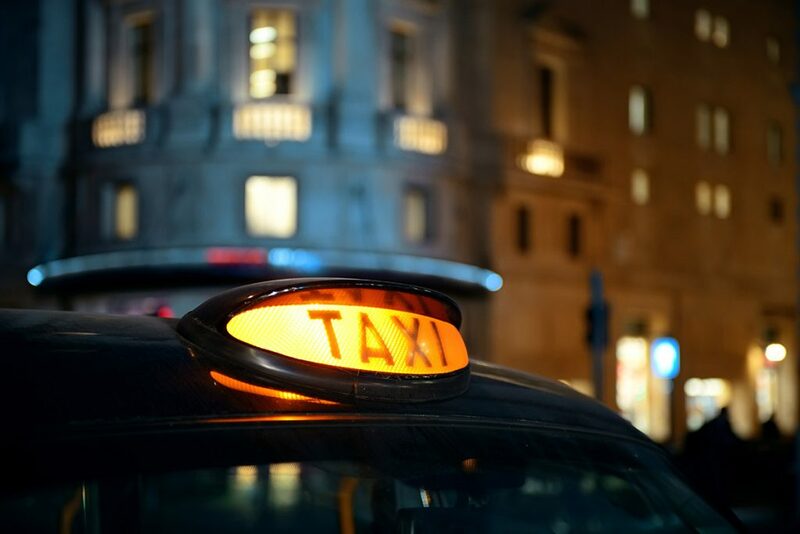 These promotions give passengers access to exclusive deals and make the most of their time in a location – be it through ads for local taxi firms, venues or accommodation.